The SD-110 is diesel powered, light weight, and self propelled. 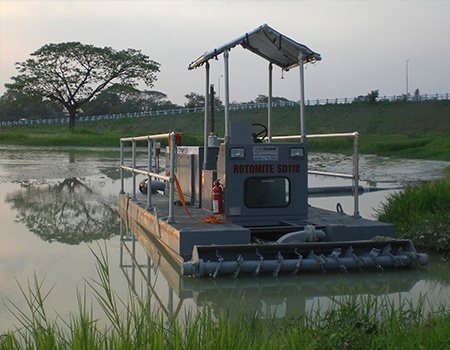 The SD-110 is Crisafulli's lightest self propelled dredge. 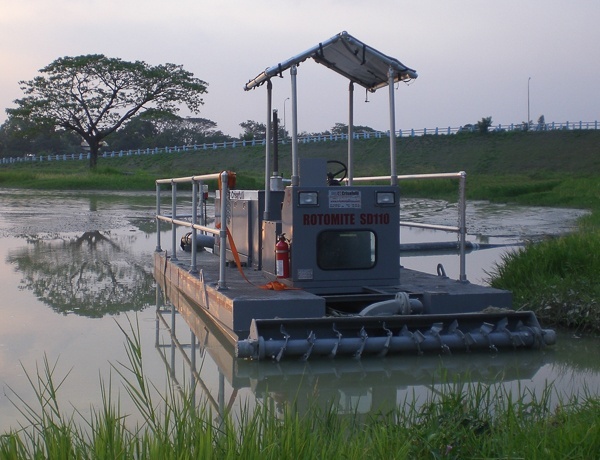 The hydraulic thruster allows the SD-110 to dredge irregular shaped ponds, and manuever into boat slips, and other tight locations. Portability. Weighting only 9,000 lbs, with an aluminum super structure, the SD-110 measures only 25 x 8.5 feet, can be lifted by almost any crane, and is transportable anywhere in the US without special permitting on a regular deck-over trailer. 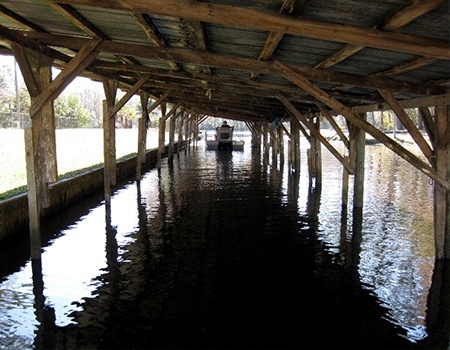 Custom trailers are available for easier installation and removal of the dredge on sites with boat ramps. Easy to operate. Designed with the operator in mind, the dredge has on-board storage in the operator’s station and a 12 VDC power point for the operator’s personal items - i. e., cell phone - with four additional 12V DC circuits, and an adjustable helm. A walkway behind the operator’s station enables safe, easy operator movement from one side of the dredge to the other. 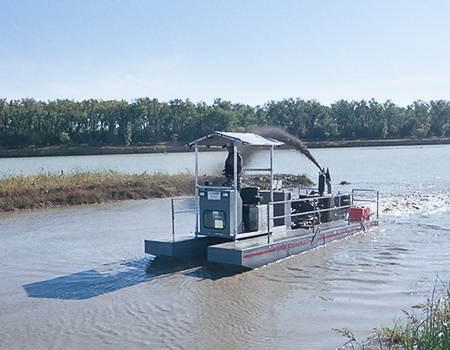 Available with an optional cab, with heat and A/C, to keep your dredge operator comfortable on the water.